Xerxes has come to live out his life at Chapel Hill Farms. He is a powerful stallion with a mind of his own. Although he is a handful, he is very well trained and is a great asset to our breeding farm. He has a pasture he shares with several pretty mares. 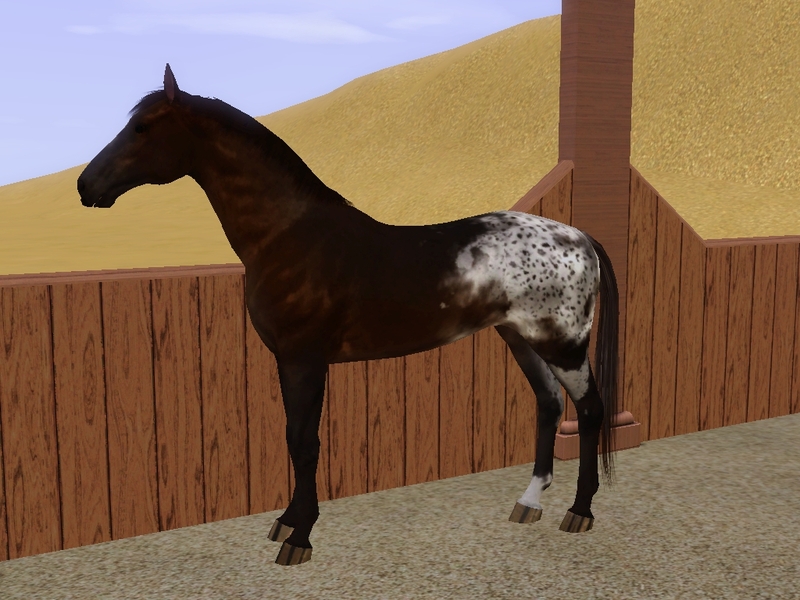 Color/Marking: Liver Chestnut with a blaze, blanket and spots; RH pastern. Xerxes is MSE’s first Nez Perce stallion. He arrived after a trade with the Nez Perce tribe. Amanda, of Morning Star Equestrian's, fell in love with his dark chocolate coat and deep brown eyes. The stallion was known for his classic “appattude” (appaloosa attitude) and fighting spirit. The Nez Perce tribesman value all their horses and did not want to part with Xerxes so easily. Amanda explained that she shared the tribe’s love for their herd and the desire to keep the breed alive. In exchange, she offered the tribe a couple Akhal-Teke weanlings. In the end, Xerxes came to MSE and the Nez Perce tribe gained breeding horses.